Four girls in nice dresses pose for this photo. "Jackman, Fremont Neb" stamped at lower right corner. 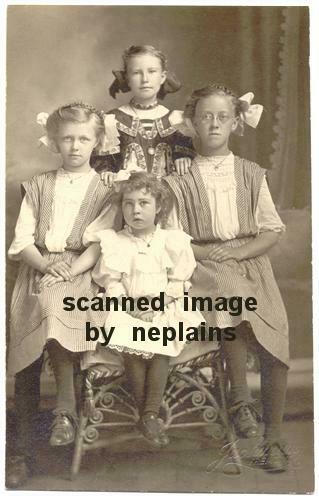 Location is unknown; photo was found with other items from southeast Nebraska and northeast Kansas. Real Photo postcard, VELOX (1907-17).